In April, Indonesian researcher Jenry Mandey came to Melbourne from Jakarta to work with Endangered Languages Documentation Programme (ELDP) Fellow Tim Brickell. Jenry is a Tombulu speaker, and is very keen to begin documentation work on his language, which is considered endangered. 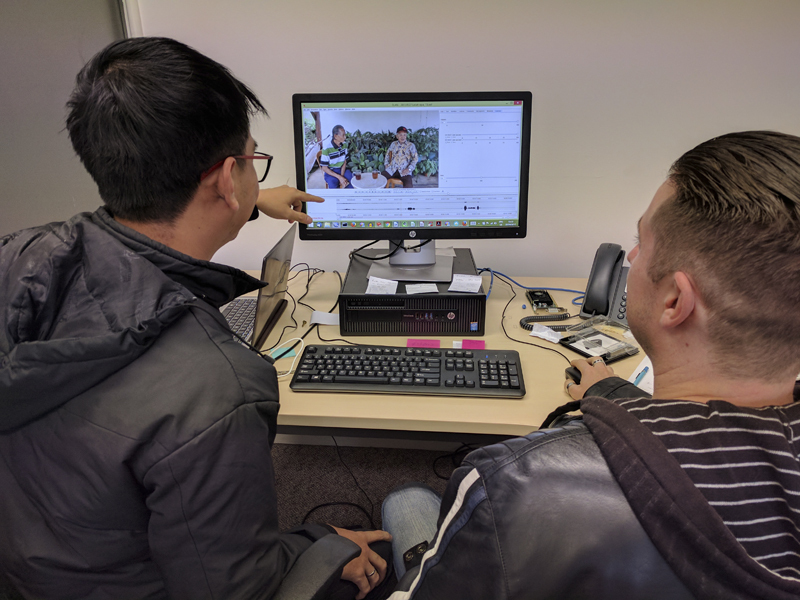 As Jenry has no formal training in language documentation and only minimal knowledge of linguistics, he visited the Research Unit for Indigenous Language to spend two weeks training with Tim. During his time in Melbourne he covered best practice processes in audio and video recording, including instructions on: the use of different video cameras, use of different audio recorders and microphone types, audio and video file formats and storage, and data management and metadata/file naming processes. In addition to this technical instruction, an overview of ethics and informed consent was also discussed. In his second week, Jenry was introduced to data annotation and analysis software via the use of ELAN and FLEx, and he also contributed to the documentation and translation of recordings via this software. Together Tim and Jenry are preparing to publish a journal article describing the verbal morphology of the Tombulu language, and so time was also spent preparing the first draft of this article.